9 Aug 2017 Washington, D.C. The Zionist Organization of America (ZOA), the oldest pro-Israel group in the country, has completed its analysis of President Donald Trump’s National Security Advisor H.R. McMaster’s behavior and determined him to be a threat to Trump’s agenda. The organization, which is backed in large part by Trump ally GOP mega-donor and Israel defender Sheldon Adelson, is calling for President Trump at the very least to reassign McMaster to a different administration position where he can do no more harm to Israel and efforts to battle radical Islamic terrorism. 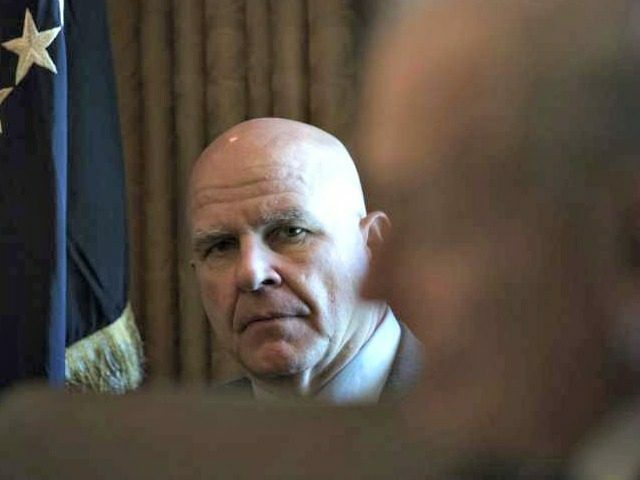 The analysis and recommendation from ZOA president Morton Klein was provided to Breitbart News exclusively ahead of its public release, and represents the first comprehensive connective tissue explaining the serious implications of McMaster’s troubling activities during his time as National Security Adviser. It is worth noting that throughout the below analysis, Klein cites several previous ZOA statements on McMaster that criticized him before–but now this has risen to the level where Klein and ZOA have lost confidence in McMaster altogether in the National Security Advisor position. The analysis walks through how McMaster purged Trump loyalists who support Israel and are critical of Iran and radical Islamic terrorism from the National Security Council and installed people throughout the council who have problematic backgrounds that do not mesh with what President Trump believes and campaigned on. It also walks through McMaster’s positions on various issues like terrorism, Israel, and questionable parts of his background and decisions he made, such as clearing former President Barack Obama’s National Security Advisor Susan Rice. The duties of the National Security Council (NSC) include “coordinat[ing] and direct[ing] the activities of the United States Government relating to combating transnational threats.” 50 U.S.C. § 3021(i). It is thus alarming that National Security Advisor Lt. Gen. H.R. McMaster purged from the NSC those officials who were carrying out President Trump’s policies of combating Iranian and radical Islamist transnational threats, and purged from the NSC those officials who support the U.S.-Israel alliance – an alliance that is vital to America’s ability to combat radical Islamist terrorism. Instead, General McMaster has appointed officials who are holdovers from the Obama administration, who favor the Iran nuclear deal and are hostile to Israel – officials who are diametrically opposed to President Trump’s policies. Moreover, new revelations demonstrate that General McMaster’s ideology is antagonistic to the President’s policies on these vital issues. The ZOA thus urges President Trump to remove General McMaster from his current position and reassign him to another position where he can do no further harm on these critical national security issues. General McMaster should not maintain a position where he can continue to undermine President Trump’s policies on Iran, Israel and the fight against “radical Islamic terrorism” – a term that General McMaster believes should not even be used. Steve Bannon: Early in the McMaster era, General McMaster removed Steve Bannon from the NSC’s principals committee. Bannon is a strong opponent of the Iran deal, and a staunch supporter of Israel. McMaster served as a Consulting Senior Fellow at the International Institute for Strategic Studies, which is partially financed by outspoken anti-Zionist George Soros and by multinational corporate firms doing billions of dollars of business in Iran. Bahrain has provided one quarter ($32.5 million) of their budget over the years. It is also partially financed by outspoken anti-Zionist George Soros and by multinational corporate firms doing billions of dollars of business in Iran. They include Airbus, Total SA, BP International Limited, Shell International LTD.
McMaster Shut Down Joint U.S.-Israel Counterterror, Anti-Hezbollah Effort: As the Conservative Review reported, General McMaster “expressed great reluctance to work with Israel on counterterror efforts, as he shut down a joint U.S.-Israel project to counter the terrorist group Hezbollah’s efforts to expand Iran’s worldwide influence. The project was led by the now-former NSC Middle East director Derek Harvey [whom McMaster fired].” (SeeJordan Schachtel’s article in the Conservative Review, above.) We cannot afford to have a NSC head who shuts down joint U.S.-Israel counter-terror efforts against Iran that are so vital to our security. McMaster Gave Susan Rice Access to Classified Information: General McMaster wrote an official letter that gave President Obama’s national security adviser Susan Rice unfettered, continuing access to classified information and that waived her “need-to-know” requirement. (“A Letter From H.R. Mcmaster Said Susan Rice Will Keep Her Top-Secret Security Clearance,” by Sara A. Carter, Circa, Aug. 3, 2017.) Rice was deeply involved in many of the Obama administration’s policies that are inimical to President Trump’s positions, and in the unmasking of Trump campaign officials. Although such letters are generally pro forma for former administration security officials, the letter appears to make little sense in Rice’s case. We are deeply concerned about General McMaster’s actions in his role as the Trump administration’s top national security adviser. 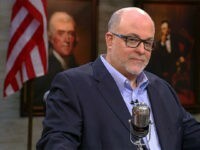 We find it hard to understand how someone who clearly has animus toward Israel, who supports the disastrous Iran nuclear deal, who opposes calling out radical Islamist terrorists, who fires Trump loyalists and supporters of Israel and opponents of Iran, who hires those opposed to President Trump’s policies especially on Israel and Iran, who refused to acknowledge that the Western Wall is in Israel, who opposes Israeli counterterrorism measures, and who shuts down joint U.S. counterterrorism programs that are of enormous value to U.S. security, can faithfully serve President Trump as top national security advisor. President Trump made it crystal clear, both before and since his election, that supporting Israel and the U.S.-Israel alliance, abrogating or at least vigorously enforcing the Iran deal while calling out and sanctioning Iran’s violations, confronting radical Islamist terrorism, and draining the Washington swamp, were key, distinguishing policies of his administration. General McMaster’s record during these past few months can only lead to the conclusion that McMaster is opposed to President Trump’s basic policy positions on Israel, Iran, and Islamist terror. General McMaster is not the appropriate person to serve the Trump White House as top national security adviser. The ZOA strongly recommends that General McMaster be reassigned to a different role in this administration, unrelated to these critical issues.